Apple have released a public beta version of Safari 3.0 for both Mac OS X and Windows. Safari is based on the open-source WebKit rendering engine, also used by the KDE desktop environment for Linux and Unix systems. Safari will also be the application platform for the upcoming iPhone so a Windows version might prove useful for web developers looking to test on iPhone, Mac or Linux platforms without actually having these to hand. Other than that, I can't see any sensible reason why Apple would want to throw such large amounts of developer funding into providing a Windows version of what is essentially a second-rate browser and then trying to get that to penetrate a market dominated by Microsoft. Statistics averaged from several sources put Internet Explorer usage up at over 75% compared to about 3% for all WebKit based browsers so I can't see the logic behind this move. I gave up using Safari some time ago, when it consistantly failed to display various web sites correctly, and moved on to using Firefox, which has been a solid companion ever since. Safari may well be faster than other browsers but at least they render more pages better than it does, even if it is the only broswer to pass the Web Standards Acid2 Test. It also has problems with lack of support from the growing list of web 2.0 applications that we're seeing popping up all the time so until it gets better at that, then I can't see a Windows version catching on. 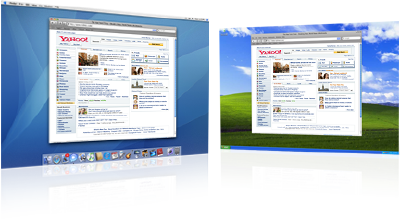 Personally, I think Apple would have been better pouring their money into the Gecko engine -based browsers like Firefox, Flock or Camino but, if you fancy having a look at the beta version of Safari 3.0, then it can be downloaded for both Mac OS X 10.4.9 or later and Windows XP/Vista here. Related Posts: Why Firefox Is My Browser Of Choice!